Don't delay! This is your last chance to RSVP for our Grand Opening Gala and 2018 Q5 unveiling happening Monday March 27th, 2017. Celebrate the unveiling of the 2018 Audi Q5, A5 Coupe and all-new Audi S5 Sportback; along with cocktails, passed apps, music and more! European model shown. Some features not available on Canadian model. AUDI AG trademarks are used under license. 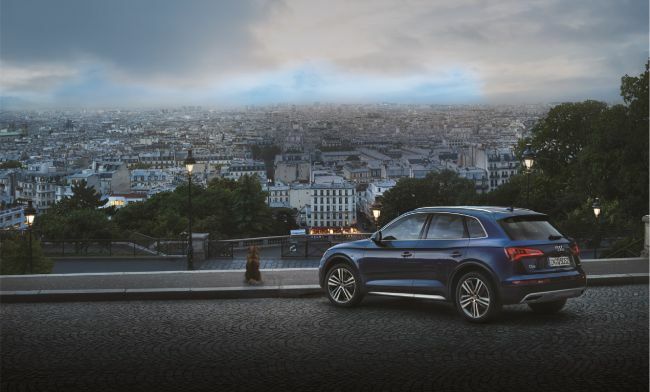 To find out more about Audi, visit Audi Midtown Toronto, call 1-8888-825-7470, or visit us at audimidtown.ca. If you prefer not to receive marketing emails from Audi Midtown Toronto, please send us an email at unsubscribe@audimidtown.ca. Please note that such requests may take up to ten (10) days to become effective.